Moving millions of dollars worth of inventory from one publishing platform to something more flexible and scalable is not easy. 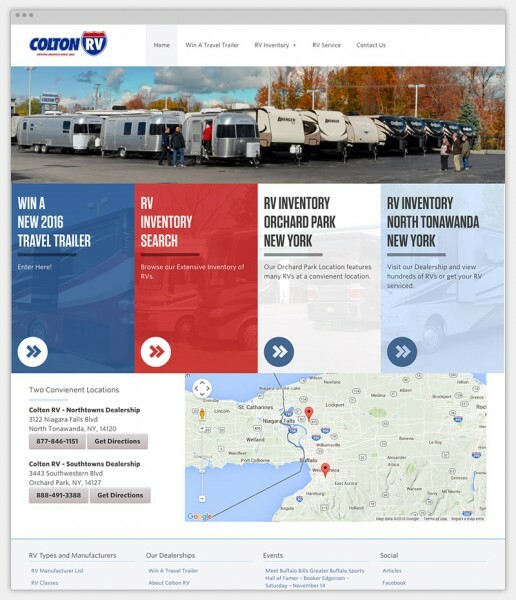 Colton RV was built on a proprietary dealership management system that had stifled their ability to customize and adjust to newer inbound marketing techniques. 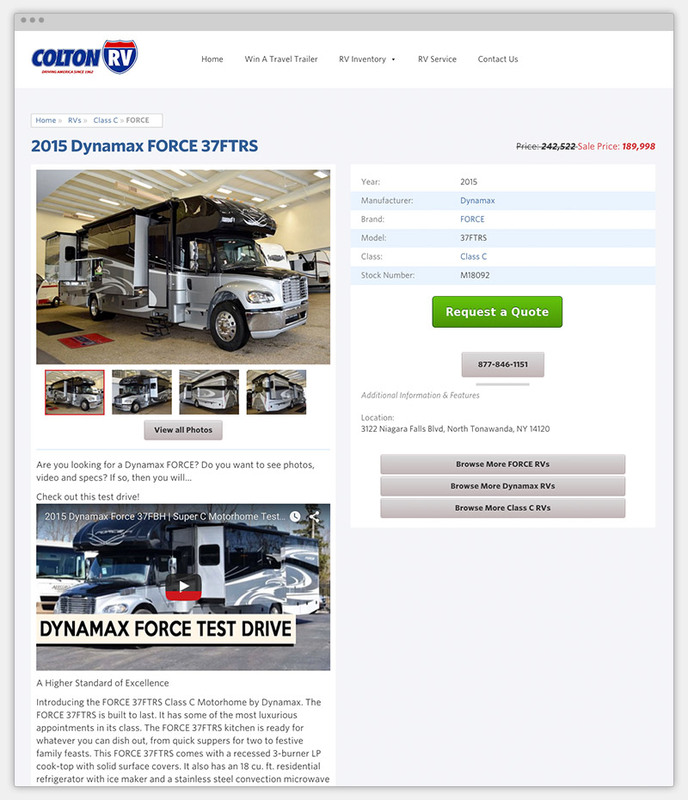 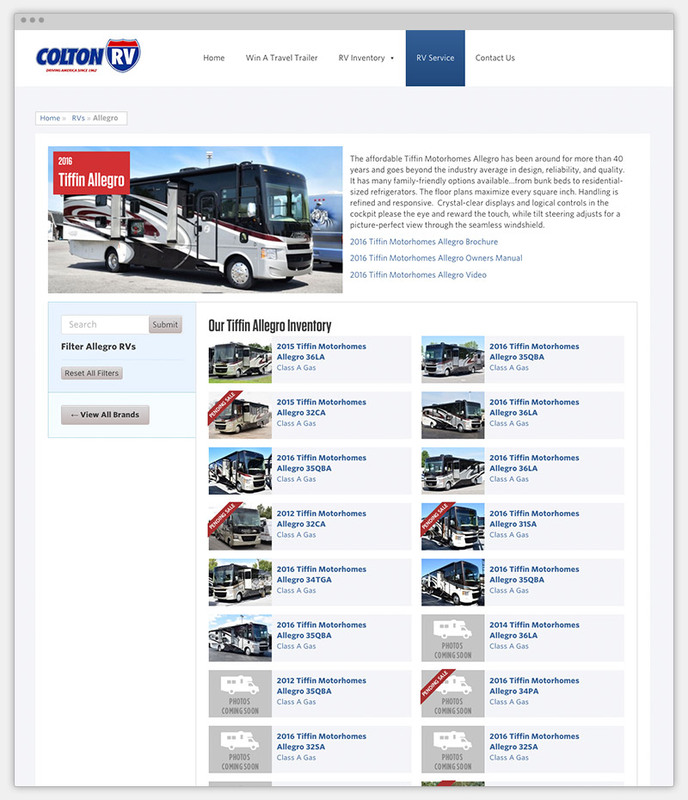 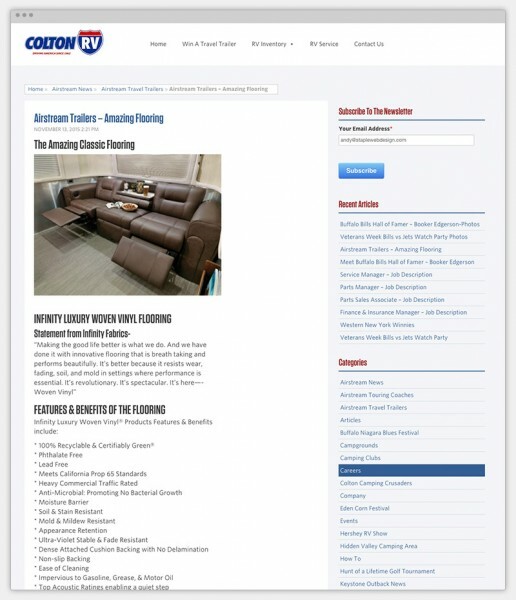 Staple Web Design built a custom RV Management system with WordPress. This was built to import vehicles nightly for new inventory, update sales, prices, and any other information. Using WordPress also opened the dealership up to many ways to help their experience for their salespeople and the customers. 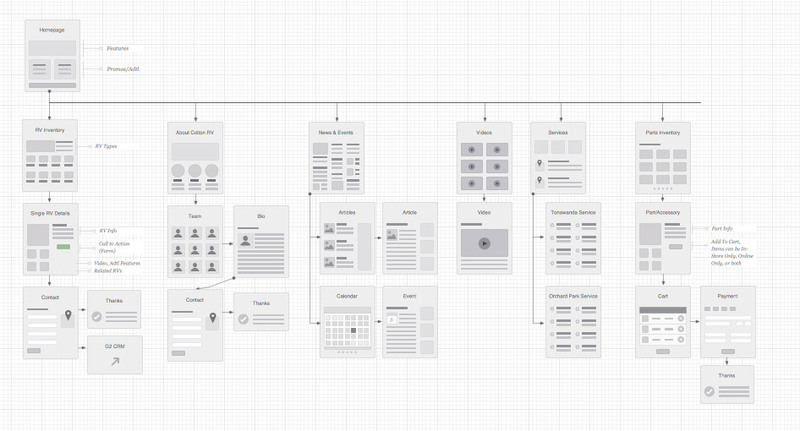 Create a flexible and extendable website and inventory application while also improving the information architecture, user experience and speed of the website.